With the advent of the digital age Boards now operate in a much different environment. Technology has provided us with digital tools that allow the exchange of all types of communications and documents in real time with less thought and effort. Unlike the brick and mortar Boards of the past, todays interconnected world has transformed the Board and its communications and documents into a chain of un-retractable bits of risk. The traditional protection of Director and Officer (D&O) insurance today is not enough in and of itself. This insurance was designed when a less transparent world existed and was easier and less costly to defend a claim. Insurance companies are quickly adjusting to this new reality by increasing premiums and deductibles and shrinking coverage. Because today’s digital world creates a level of exposure whereby defense costs are very unpredictable, policies must be reviewed carefully to fully understand the ever expanding caveats and exemptions. Insurance companies will tell you the game has changed and more than ever financial insurance is just not enough. Boards need to proactively manage their risk and associated liability with a framework suited for the digital age. Boards that continue to operate and govern without a digital framework are finding it virtually impossible to adequately mitigate risk and liability exposures. It is not uncommon to find Board emails and other Board documents commingled with a Board Member’s personal and work emails and documents. This practice exposes personal and work email accounts, computers and electronic devices to scrutiny both during and after each Board Member’s tenure. Add in committee members, managers, lawyers, accountants and other professionals and the exposure grows exponentially. Without a digital framework, when Board Members or others who serve the entity leave, many of the Board’s records leave with them. This not only leads to lack of continuity and preservation of a historical record, but also, when one Board Member leaves the next one has to try to recreate the record, rather than picking up where his predecessor left off. • During the last 10 years 64% of all Nonprofits have had a claim. More than the Private and Public sectors combined. Contradicting popular opinion that claim activity is a public company phenomenon. • Average cost of a settlement is $28,000. • Average legal cost of defending a claim $35,000. • One in every 10 claims costs more than $100,000. 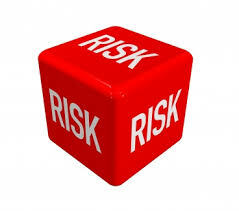 • In the last 12 months 41% of Nonprofit/Private organizations have experienced an increase in D&O insurance premiums. mitigate your risk and maximize your efficiency. Do you ever use email for Board related communications? Yes, I use my business and/or personal email account. Yes, I use a dedicated public (free like gmail) email account only for Board communications. Yes, I use a dedicated private and secure email account only for Board communications. Yes, the Board has dedicated private and secure email accounts for me and all Board Members that is exclusively used for Board communications. No, I never use email for Board communications. Co-mingling your personal and/or business email is a risk whether or not there is litigation. By inadvertently involving your work and personal life in your Board business you may be harming yourself or your employer. Does your Board use a framework where all Board business and associated records can be transacted and managed from a central location? All of your organization’s Board business (other than in person or over the phone) should be performed within a framework. The emails, documents, calendar, contacts, etc., should be created and/or managed within a framework that continues long after any Board Member’s term. Irrespective of whether members come and go, your organization’s records need to remain in place. Do all Board Members and the people who work with them (like committee members, professionals, etc.) read and sign Board policy statements and any modifications to them? Establish policies which members are aware of, agree to and are able to follow. All too often Boards do not adopt policies or adopt them and do not make Board members and others aware of them. Does your Board provide a method to archive, retain and securely share Board documents? Organization documents should be maintained in one place and never leave that place unless your policy requires. Does your Board maintain a readily accessible secure central repository of the organization documents that are required by law for a particular time period? Your organization is required by law to maintain certain Official Records for a particular time period. Board members are required to make sure that those legal requirements are satisfied. The failure to prepare and maintain such records results in risk and liability to the organization and individual Board Members.